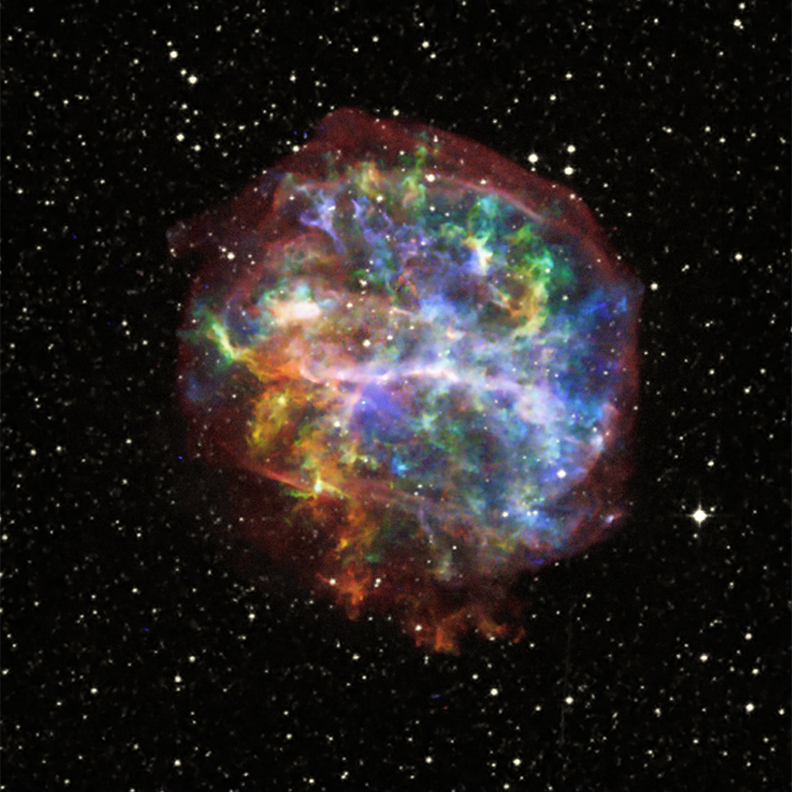 The aftermath of the death of a massive star is shown in beautiful detail in this new composite image of G292.0+1.8. 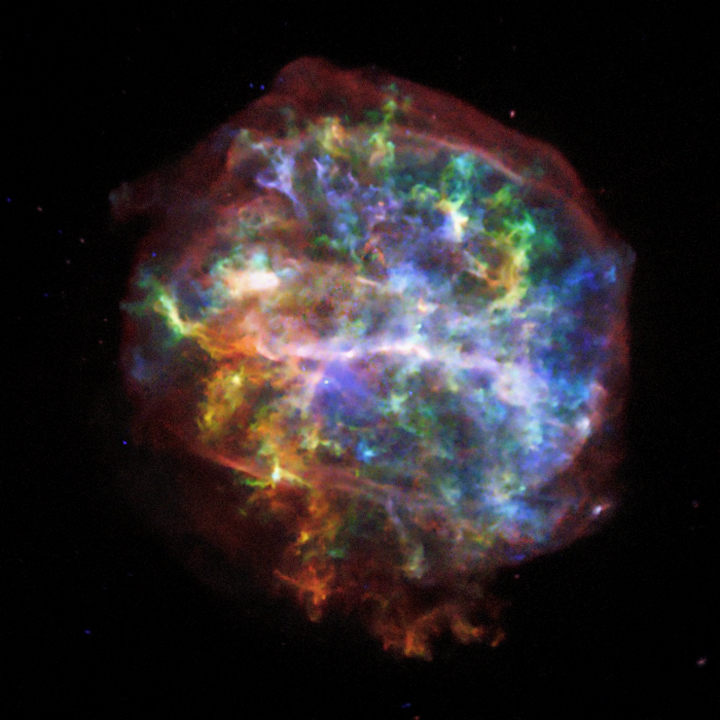 In color is the Chandra X-ray Observatory image — easily the deepest X-ray image ever obtained of this supernova remnant — and in white is optical data from the Digitized Sky Survey. Although considered a "textbook" case of a supernova remnant, the intricate structure shown here reveals a few surprises. Near the center of G292.0+1.8 is the so-called pulsar wind nebula, most easily seen in high energy X-rays. This is the magnetized bubble of high-energy particles that surrounds the "pulsar", a rapidly rotating neutron star that remained behind after the original, massive star exploded. The narrow, jet-like feature running from north to south in the image is likely parallel to the spin axis of the pulsar. Another key feature of this remnant is the long white line running from left to right across the center called the equatorial belt. This structure is thought to be created when the star — before it died — expelled material from around its equator via winds. The orientation of the equatorial belt suggests the parent star maintained the same spin axis both before and after it exploded.